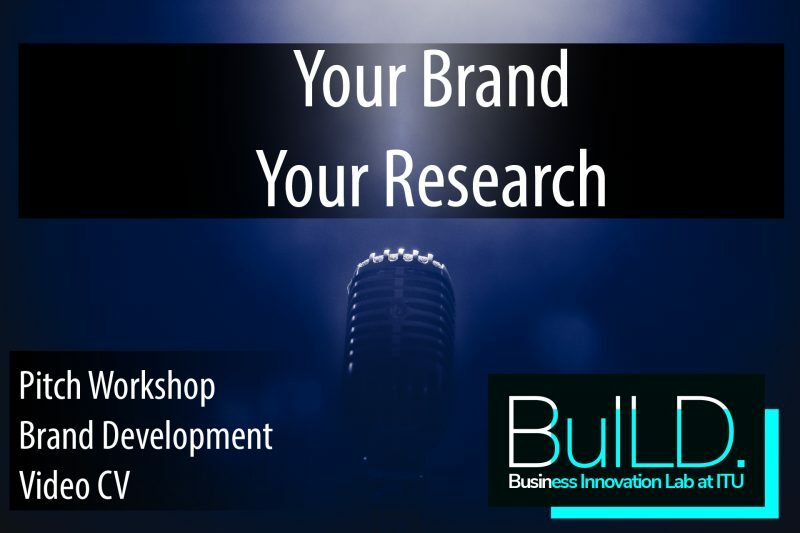 BuILD has organized several events that are geared towards recognizing and developing your brand. These opportunities are not just for students or start-ups. If you’re a researcher looking to attract industry collaborators, join us and learn how to succinctly present findings, applications or potential partnerships in a business setting. This event series open to all who are interested. These days a pitch isn’t something just for door-to-door salesmen. It’s a skill that can be an advantage in almost any setting. 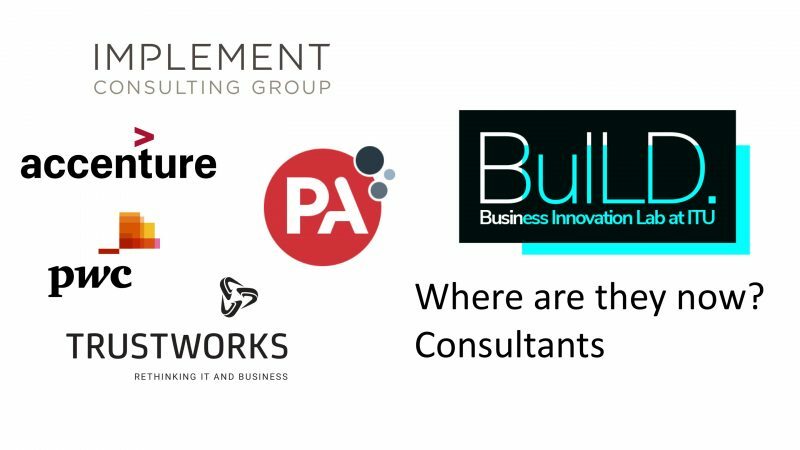 So whether you need to pitch for group work for a course, are looking to attract investors to your latests start-up, or have conducted research that you would like to see applied in practice, we at BuILD are here to help. 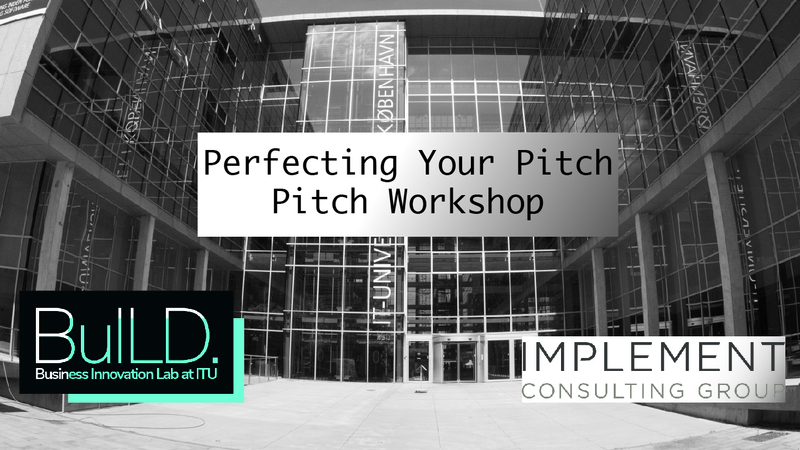 On Tuesday April 10th at 14.00 in Aud 2, our good friends at Implement Consulting Group will host a Pitch Workshop, where you can get the hands-on experience and expert feedback you need to make an impression. Sharing is caring and this event is open to all so, don’t be afraid to share with anyone you may think would be benefit from attending. Branding ourselves can be very difficult especially, if we are preparing to begin a job search or are looking for outside investment in a business venture. Creating content on sites like LinkedIn or doing guest blog posts on websites that cater to your audience are great ways for others to get to know you, your personality, and your passions. When we say persona brand, this is what we mean; a means of marketing yourself in a succinct manner that is easily digestible, to a future employer or potential investors. 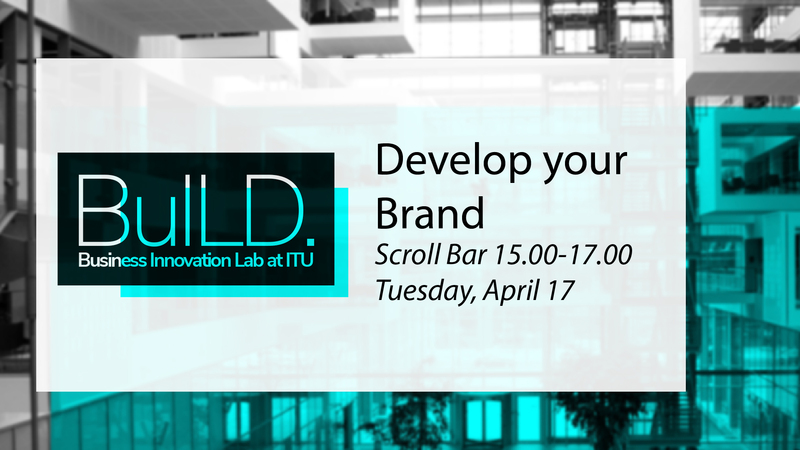 Join us in Scroll Bar on Tuesday April 17th from 15.00-17.00 for a fun hands-on workshop where Google Alum and Digital Business Consultant Thomas Grønfeldt Senger will help you identify your personal brand, produce a comprehensive outline for your first LinkedIn article post, and finally, perfect your *Tell me about yourself* response in an job interview setting. Open to students, recent graduates and ITU employees. You’ve done the work, so share it! 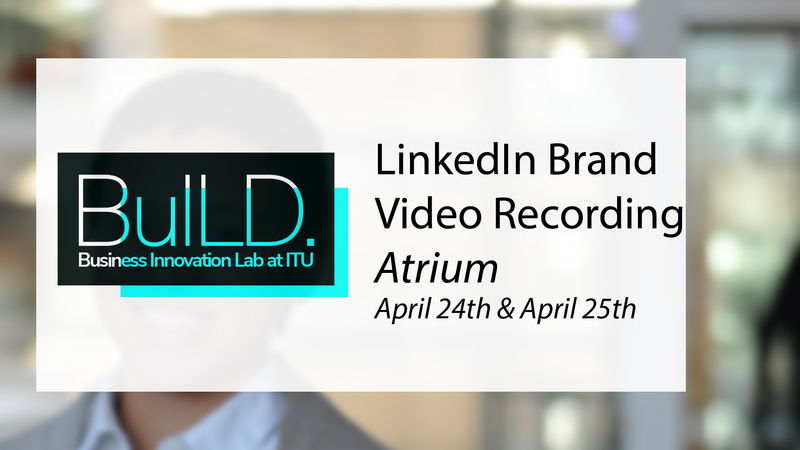 ITU’s communication department is joining us on this one, to record single-shot videos lasting no more than 2-minutes where you can explain findings, pitch an idea, or refine your brand, with the iconic atrium in the background. If interested in signing-up then contact us. 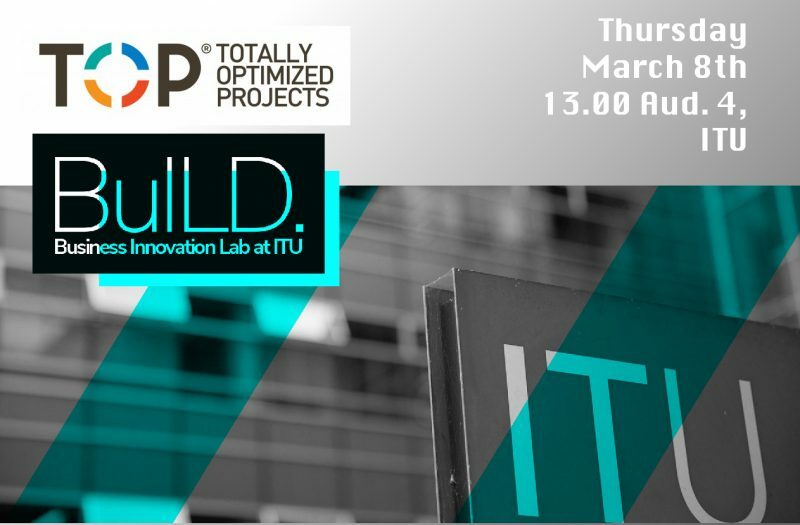 Last week, BuILD hosted Alexandra Chapman, Co-founder and COO of Totally Optimized Projects for a Hands-on Discussion & Workshop for practitioners as well as students. Project Management philosophies are important because they color the way we approach the problem. Good project managers require a toolbox filled with differing approaches in order to ensure they are equipped to operate in a variety of settings. The TOP method is just one such method, one such school of thought. There were many interesting aspects to this project management methodology that is based on over 20 years of experience including definitions of value, identifying desired outcomes, and calculating value drivers. As is the case with many project management tools and methods, identifying the scope and parameters for measuring success are unavoidable. 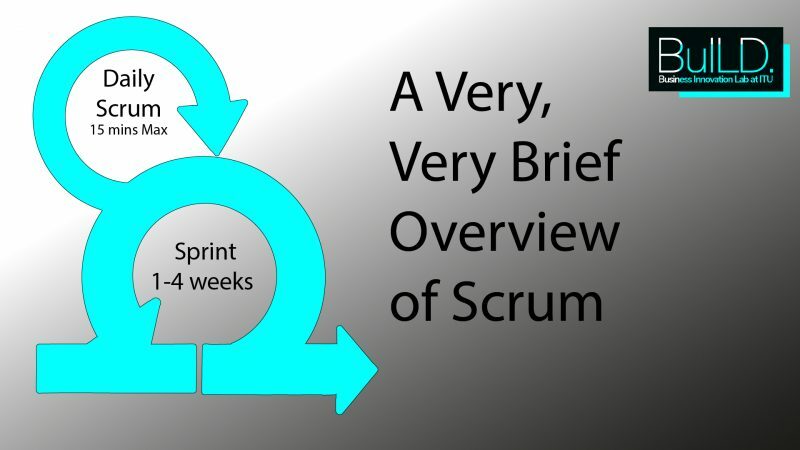 For example, if you are working agile, you would call it your definition of done and it represents the culmination of a sprint. In this way path dependency is produced: how do I move my team from where we are now to where we are going? For TOP this is question is crucial. 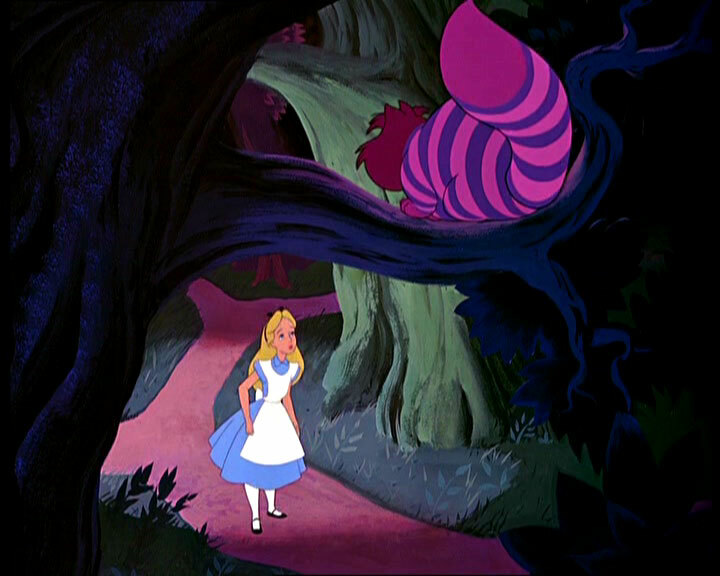 Consider Alice in Wonderland asking the Chesire Cat for directions. The methods seeks to create shared understanding of a project and its goals in order to ensure each element of the project is in face value-driven, and ultimately fills the gaps between the business and IT activities. It accomplishes this through providing practitioners with tangible ways of codifying tacit knowledge, shifting focus from cost to value through systematic repeatable processes that link business strategy with each individual project. 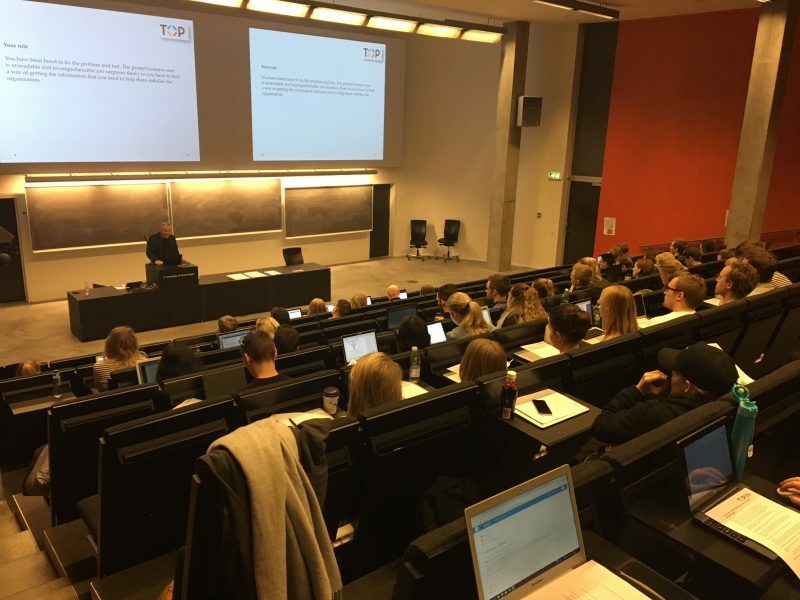 ITU Lecturer, Christian Stadager says this of the method, “TOP is quite innovative in it’s simple approach delivering value – something I have never seen meticulously broken down into an actionable methodology.” And brought the method into his Digital Governance course for third semester Master’s students studying Digital Innovation & Management. If this method of project management has piqued your interest and you would like to learn more about applying it in your organization or your studies then let us know! We are happy to offer tools and guidance in any of the project management methodologies we discuss here and we are happy to help. We want to first and foremost give a big shout out to all those who participated! BuILD exists to host events, training, and networking opportunties that create value for our students and alumni representing industry. It was a pleasure to bring together recent graduates working in consulting and current students considering the pursuit of a similar career. 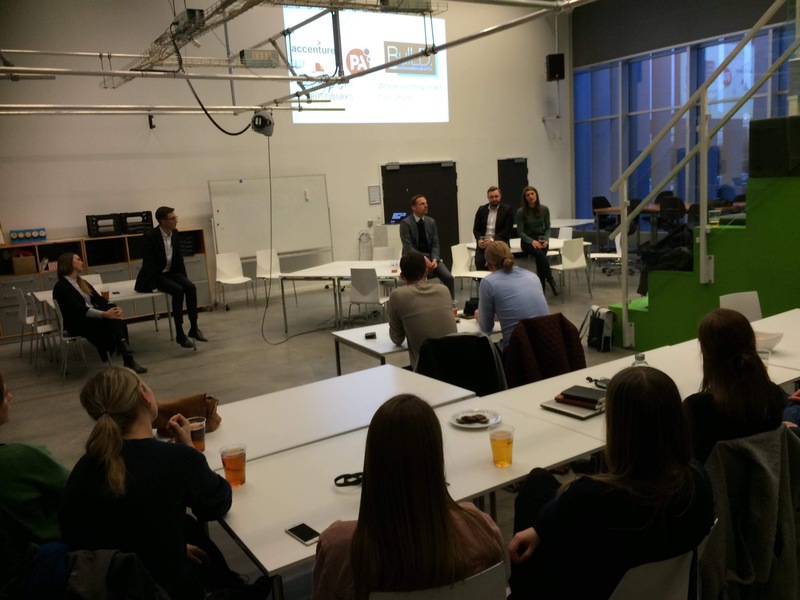 Although our alumni are employed in some of the most successful consulting houses in Copenhagen, they came representing themselves to share their own experiences. A common theme among their responses to audience questions was, “advice I wish someone had given me”. The atmosphere was relaxed and breaks were taken to fill up our glasses a Scroll Bar, and the conversations felt honest. In the coming weeks we will continue to host this format of event since it has been so well received but we need your help to find our future topics. What industries are you particularly interested in hearing more about? What positions? BuILD will scrape our vast alumni network and give you access to honest opinions from professionals who were just like you not too long ago. Join our community on facebook and be a part of the conversation. This is event is open to all interested participants so please spread the word. Register here today. 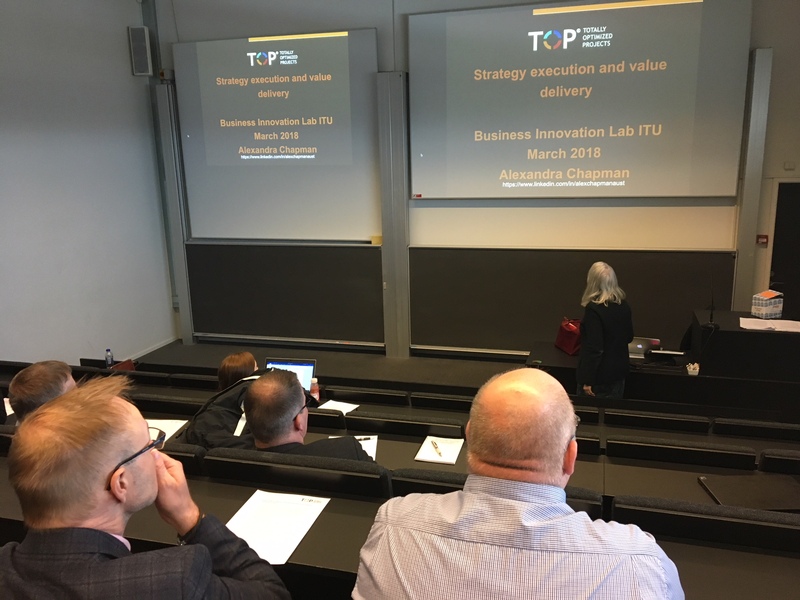 BuILD is delighted to announce that Alexandra Chapman, Co-founder and COO of Totally Optimized Projects, has agreed to do a Discussion & Workshop on “How to execute strategy and get the value” while visiting Copenhagen from her home base in Australia. When project success is measured by ‘on budget and on schedule’, the most important purpose of a project gets lost: delivering the benefits and value the project intends to. Alexandra Chapman has been recognized by Cranfield University in 2017 as one of their top 50 alumni globally. She holds an MBA from Cranfield School of Management, writes highly regarded articles for CEO Magazine and is COO for Totally Optimized Projects. Over the past 30 years, Alex has dedicated her professional career to developing TOP’s tools, techniques processes. These teach organisations how to execute strategy through projects and deliver the value that organizations want. Delivering “value” in your projects – what do we mean by this? Using financial models to track financial benefits. During the session, participants will get hands on experience in the TOP accelerated process used to define Business Outcomes process, which is the cornerstone of the TOP Value Equation. BuILD’s first contest of the year is now officially underway. Write a short blogpost and win a ticket, worth over 2.600dkk, to A Day of Play 2018 — a hands-on workshop on the future of work with networking opportunities with the leaders of Scandinavian’s top companies. The Task: Write a 300-500-word blogpost on the future of either leadership, change, or learning and the winners in each category will win a ticket to attend A Day of Play 2018. The Prize: Day of Play is a conference/workshop on February 5th at the National Museum in Copenhagen where leaders, decision-makers, and practitioners filled with workshops and knowledge sharing. Submissions will be accepted until 14.00 on Friday 2nd of February and the winners will be announced that afternoon. BuILD is offering this unique opportunity to students because this conference is not about the emergence of new technologies in and of themselves but rather a look at how these technologies will shape the future and the ways in which organizations must react. With participants from Scandinavia’s top companies this will be an excellent opportunity to network in an informal setting. More than this Workz, the host of the event is a change management consultancy located in Copenhagen, Denmark that believes in ‘Change Through Involvement’ a mantra that manifest itself in some very interesting ways including gamification, story-telling and role playing. If interested check out this short video below on Workz. Remember submissions will be accepted until 31st of January and winners will be announced on Friday 2nd of February. 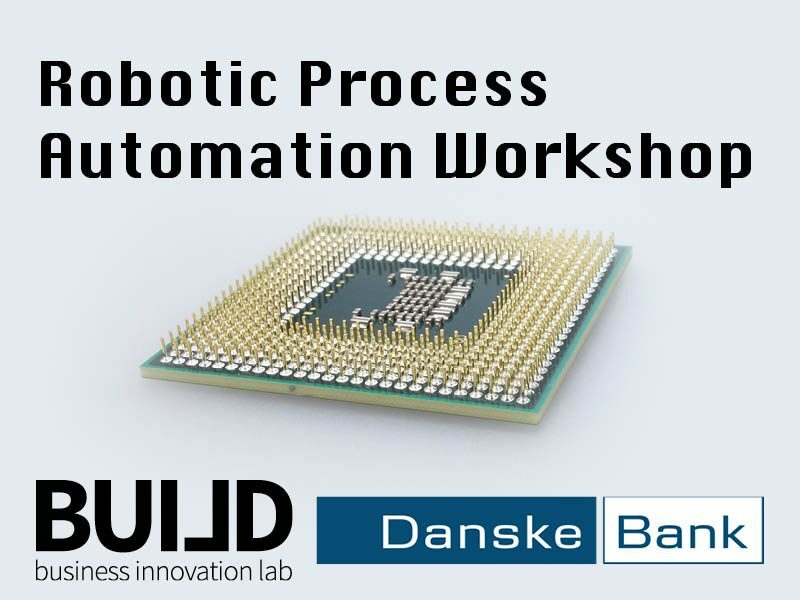 This week, Digital Innovation and Management students enrolled in Process Innovation were given the opportunity to learn more about Process Automation, Robotics, and Artificial Intelligence through participating in a workshop facilitated by Danske Bank. This post will briefly explain a few concepts surrounding Process Automation, share students’ thoughts on the experience, and offer suggestions for those interested in how they can learn more about process automation as well as collaboration opportunities for students, researchers, and industry. To learn more about our Industry Partnership services for companies and outside organizations, feel free to contact us, here at BuILD. 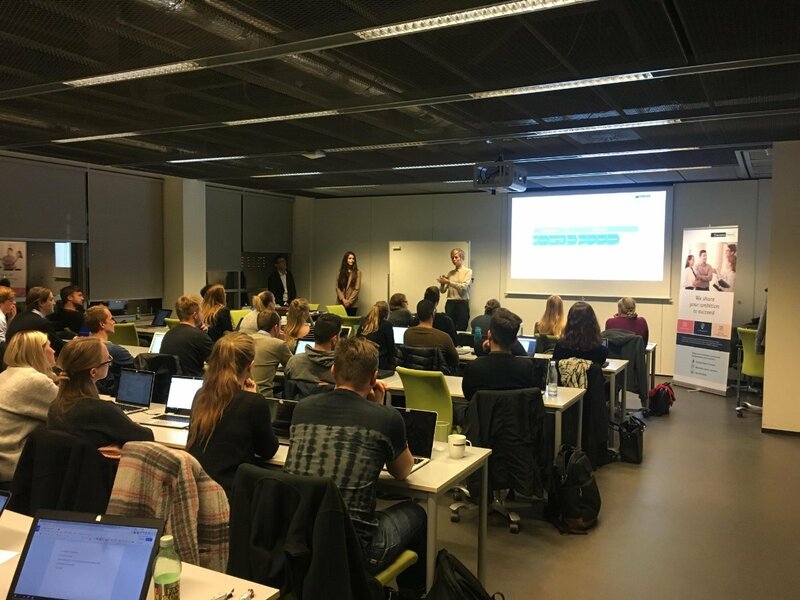 Last month, Process Innovation students were introduced to the Process Mining Tool Minit, through a workshop facilitated by Nordic Consultancy, Bizcon. This week, gears are shifting to the role of Process-Aware Information Systems (PAIS), Robotic Process Automation and Nordic banking industry giant, Danske Bank. Process Automation and Process improvement is something that Process Innovation students have been working on all semester for Danske Bank concerning their Danske Gave Plus product, but workshop took a more holistic approach to the adoption of automation technologies as a way for the bank to optimizing all aspects of the customer journey. Natascha Wang is a third semester Digital Innovation & Management Master student enrolled in the course. 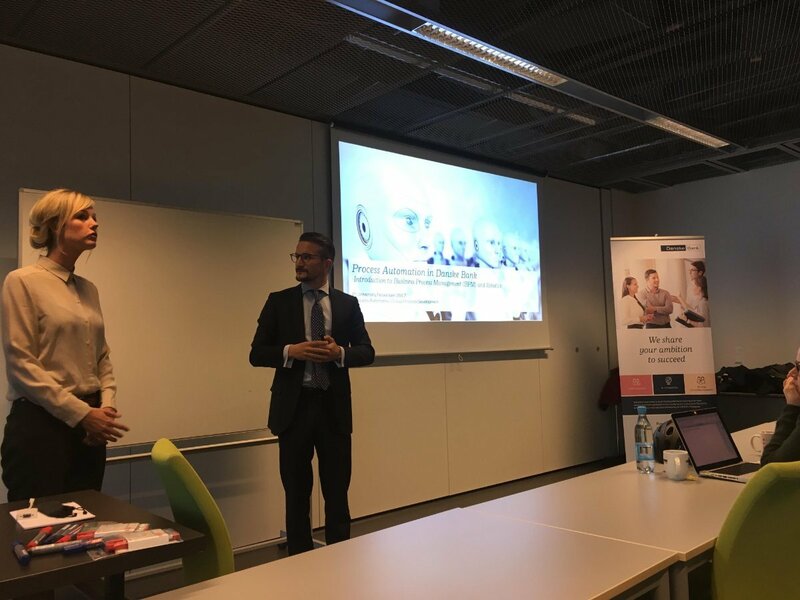 “The robotic process automation presentation was really useful and I learned a lot, it offered a glimpse into how the bank currently uses robotic process automation,” Natascha said of the experience. One way they are exploring to achieve these goals is marrying Process-Aware Information Systems (PAIS) with Automation and software robotics. So long as processes are rule based manual tasks, a software robot can conduct these faster and more efficiently, freeing up employees to focus on interacting meaningfully with customers. As always, we hope this post has been useful and informative and we encourage you to contact us here at BuILD if you have any questions or would like to hear more about our services. If you are a student and are interested in conducting researching related to process mining whether it be for a thesis, an industrial PhD, or something else altogether, then we at BuILD encourage you to reach out to us directly. If you are an organization with a wicked process-related problem and are looking to work with ITU students, commission research with our faculty, or fund an industrial PhD, we encourage you to reach out to us here at the BuILD lab; we offer services that can help facilitate this process and guide you to the correct resources from start to finish. Here at BuILD we’re crazy about business innovation and are constantly in search of innovative approaches to problem solving and value creation. In this blog post, we will explore the innovative business practice of Process Mining through a workshop facilitated by Bizcon, a consultancy offering, among other things, process mining services to its clients. This blog post will explore a number of questions surrounding process mining including what is it, what are the tools employed, and how can you get started. Bizcon’s Alexandru Timar and Carsten Christiansen, called the experience “a great opportunity to get fresh input and different perspectives from an academic environment.” This workshop is a part of BuILD Lab’s Student Colaboration opportunities and is available to all companies involved in innovative practices that pair well with coursework as a part of the Digital Innovation and Management (DIM) program. 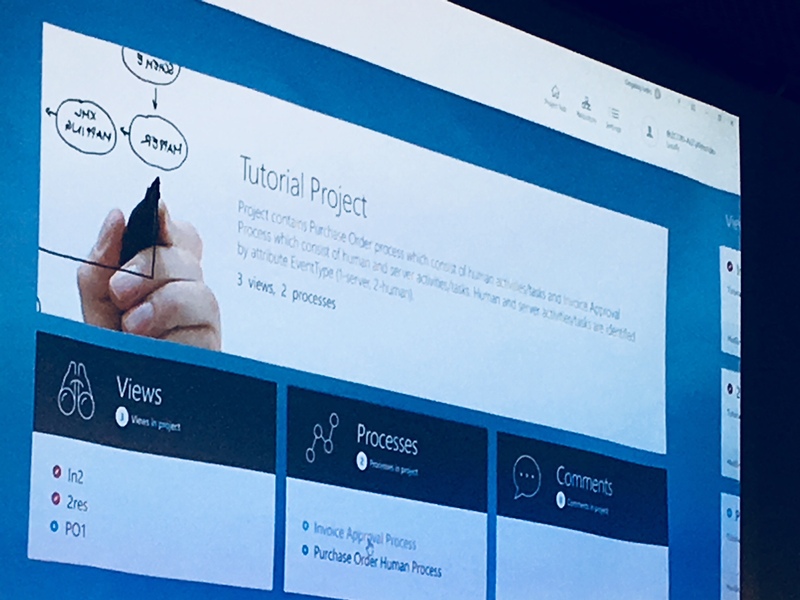 DIM students enrolled in Process Innovation were given the opportunity to use MINIT, a business process management tool that offers data-driven process analysis to its users. 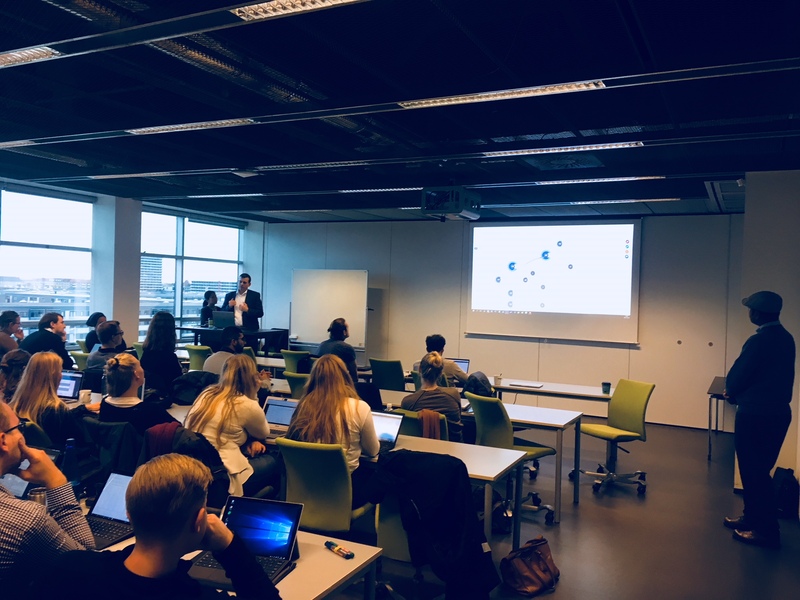 Alexandru and his team offered participants the opportunity to learn more about what Process Mining is and the analytical tools employed through analysis of a real case. 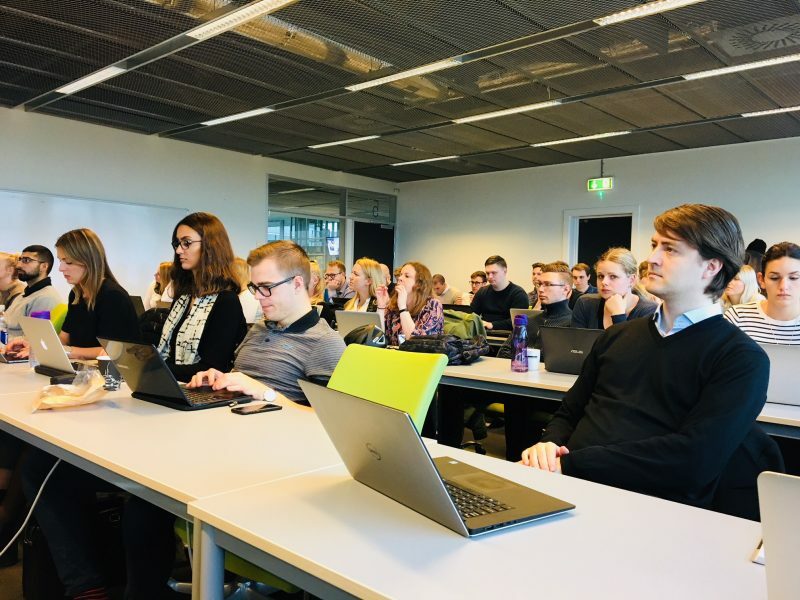 If you too are interested in learning more about Process Mining after reading this blog post, feel free to check out the, ‘How can I get started?’ section or join the Process Mining Group Nordic on LinkedIn. 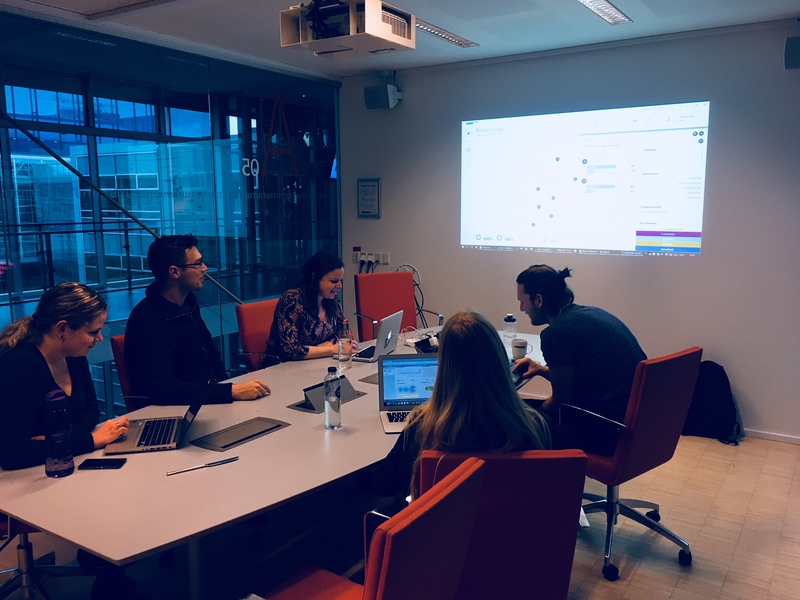 Process Innovation Students being introduced to MINIT, a process mining analysis tool. But before we go too much further, let’s dive a little deeper into the notion of Process Mining. Processes are a part of every businesses’ core strategy, regardless of size or industry. Through extracting knowledge from event logs, which consist of timestamped activities relating to different cases or process instances, process mining can discover, monitor and improve an organization’s processes using a fraction of the resources traditional methodologies — concerned chiefly with conducting in-depth interviews and significant observation — require. Once these logs are imported into a process mining tool such as MINIT, they are crunched into tables, charts, and visualizations that allow for much faster process analysis than traditional means. Below you can find brief descriptions of the most prominent use cases for Process Mining. The applications of process mining can be divided into three overarching use cases: compliance, increasing efficiency, and understanding business processes. Below you will find brief explanations of each of these cases. Process mining and its visualizations can help business experts identify non-compliant behavior within an organization, improve internal controls, and identify where controls are in fact being bypassed. Identifying bottlenecks and their cause is also a common use case for process mining. Alliveiating these pressure points can be the answer to wicked problems facing an organization. Comparing processes and their time to completion across department offers the opportunity to share best practices and motivate change. But more than compliance and increasing efficiency, process mining also be employed to achieve a better overall understanding of the processes conducted within an organization. Answers to questions such as, ‘How long does a process take from end-to-end?’ ‘How is a department or a resource performing?’ and ‘What is the end-to-end cost of this process?’ can be found through the act of process mining. There are three types of process mining: discovery, conformance, and enhancement. These actions offer organizations opportunities identify, confirm, and improve processes based upon data that would otherwise be unavailable or require a massive amount of resources to analyze. Once processes are discovered, for example, they can be used amongst stakeholders for discussing the problems they reveal and stimulating improvements and solutions. Conformance on the other hand is a means for ensuring that the discovered processes reflect observed behavior. This can be used for quality assurance purposes related to documenting processes, to guide discovery algorithms, and to identify where deviations occur. Existing process models can also be extended or improved through the use of enhancement process mining. 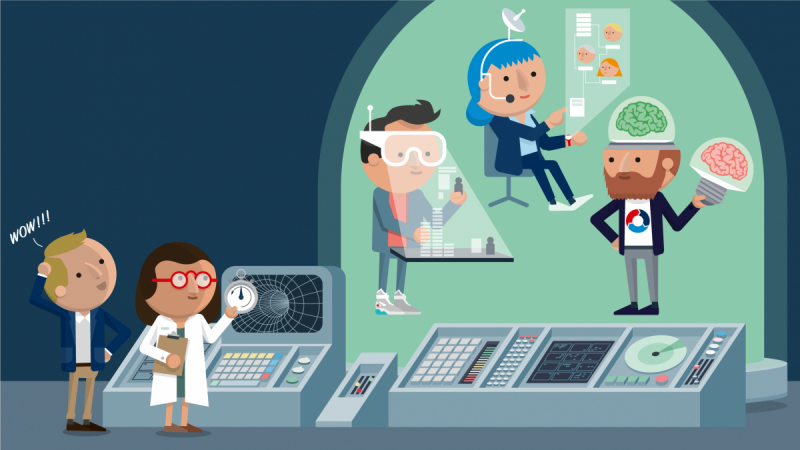 If this short blog post has piqued your interest in process mining there are a number of ways in which you can learn more and get started with your own projects. Process Innovation students from the Digital Innovation & Management Master’s work together on a process mining use case brought to them by Bizcon. Van Der Aalst, W. (2012). Process mining: Overview and opportunities. ACM Transactions on Management Information Systems (TMIS), 3(2), 7. 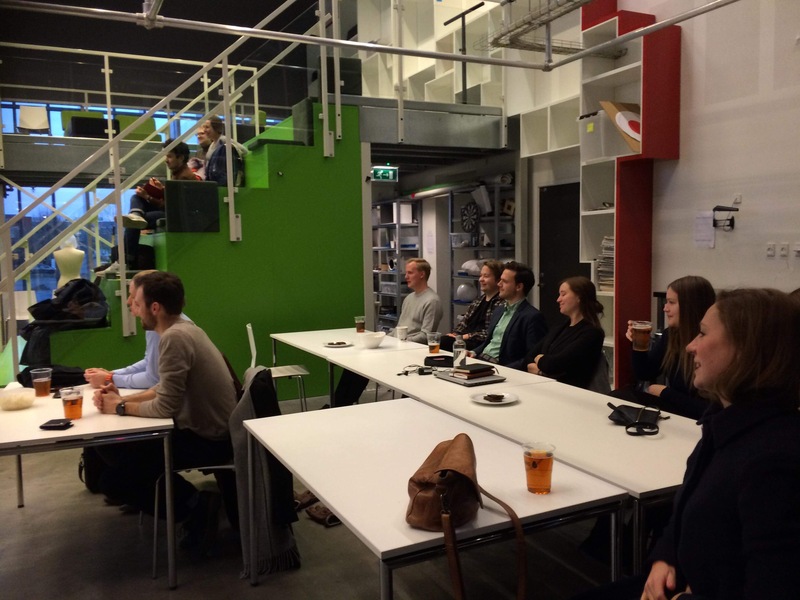 On Monday, last week, we hosted BuILD’s first event at the IT University of Copenhagen. As BuILD aims to tighten the gap between the students and the industry, we invited the industry to talk about what competences are in demand and what students should prepare for. The industry, and the “real life” examples in this case, came from IT Business Consulting, and more precisely, Implement Consulting Group. Why IT Business Consulting? We have by now identified that this is one of the prospective career paths that an IT-Business-Innovation graduate is likely choose to thrive in. More so, we already have several Digital Innovation & Management Graduates building their careers at ICG. Together with the facilitators, Sefkan Lezgin Øzcanand (Cand. merc. 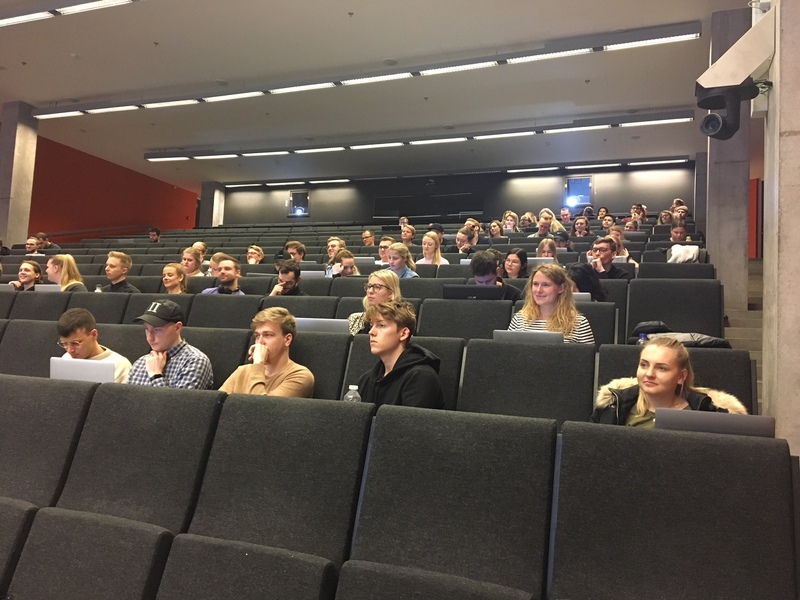 IT) and Kim Thuesen (MA in Philosophy), we decided to plan the event with a practical element – something that will not only engage the students in a discussion about their own potential, but would also bring the focus on the work in the workshop. An approach we will keep and nurture for our future events and workshops. 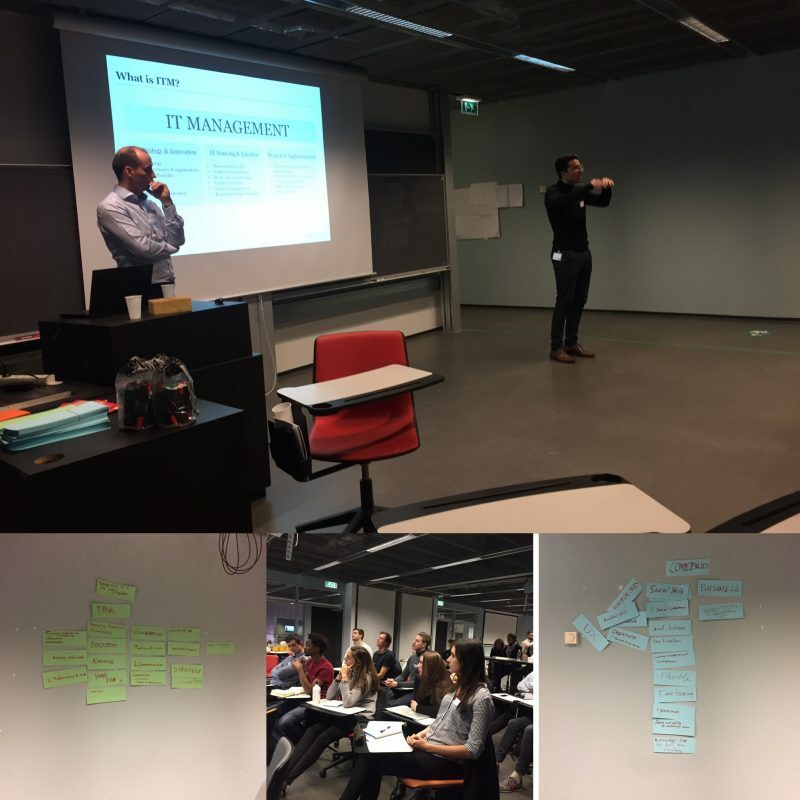 The participants, many of which DIM students, were asked to come up with their input on what competencies they think are required to be a good ITM consultant, and what the daily tasks of an ITM consultants could be. Problem solving, design thinking, strategic and leadership skills were mentioned. After presenting cases on which the two consultants from ICG are working on, it seemed that the suggested required competences by the crowd were pretty spot on. How can we interpret that, and what was then the value, or the new knowledge, for the attendees of the workshop? If I compare it to the time when the Master’s line of Digital Innovation & Management was just introduced and had its first student intake, I can say that the students now seem much more in line with what “the real world” actually demands as a set of competences. The value, I believe, is coming closer to what the practice of a post- IT Business graduate could look like – we already know what is required, but where and how to cultivate it was one of the main take-outs of the BuILD’s first workshop.